Technion engineers find reliability of A-3 cameras to be high. After State Attorney's Office approval tickets will again be sent by police. Technion–Israel Institute of Technology engineers who tested the A-3 camera system used by the police to locate speeding drivers determined the camera's reliability to be very high. 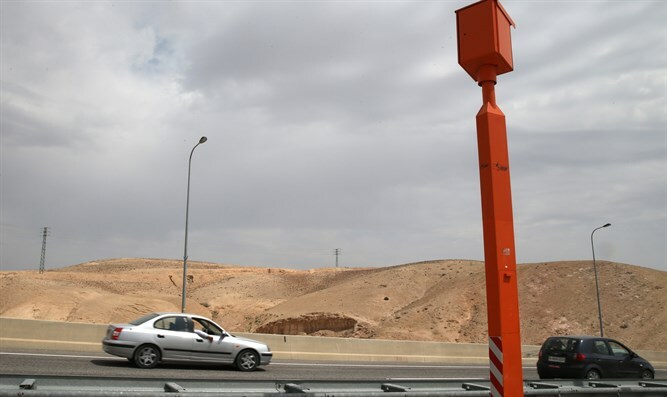 Last month, the State Prosecutor ordered a freeze on traffic tickets issued to drivers accused of exceeding the speed limit on the basis of traffic camera footage after an examination of cameras at the Technion revealed the cameras to be unreliable. The Technion engineers' inspection report will be submitted to the State Attorney's Office for approval and subject to this approval, enforcement and ticketing against the drivers will be renewed soon. In addition, police will announce in the near future how they will deal with drivers who were photographed speeding during the period when no reports were issued. To make it easier for the public, police granted an additional extension to drivers who must pay traffic tickets and can pay the fines by October 15, 2018. Drivers who received a ticket and have been waiting for a court hearing since June 10 will receive a new hearing date.